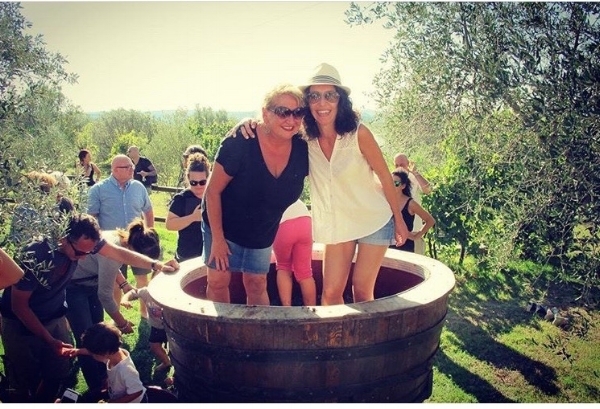 So What About the Time….I had the great fortune to take part in a Vendemmia, in Toscana, a couple of years ago. For those not in the know, like I was before I actually took part in one, a Vendemmia is a grape harvest. Autumn is that wonderful time of year when the grapes are finally ready for harvest. Let the celebration and the wine making begin! It was rewarding to play a small role in this tradition. 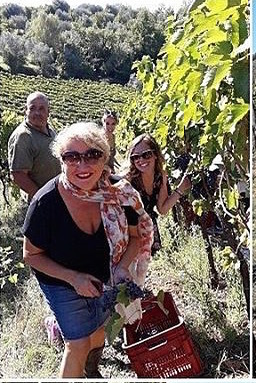 Equally rewarding was the chance to breathe in the beauty of the Tuscan countryside with some wonderful people. I drank vino, I laughed, I took photos and videos, and I even stomped some grapes! Yup - calling on my inner Lucy! Some fine stomping being done by Stef, from Villa San Michele, e io. If you feel inspired to share, please do so in the comments section below. I would love to hear from you.